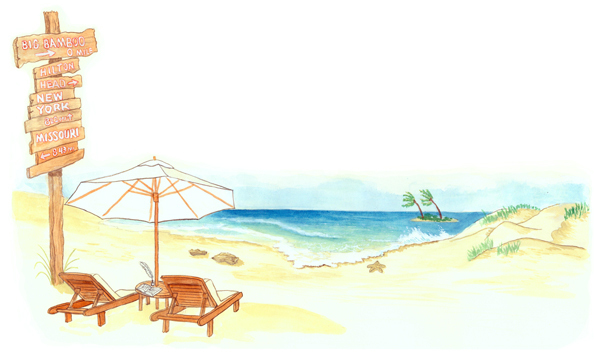 We have added many unusual and meaningful decorations to wedding certificates. 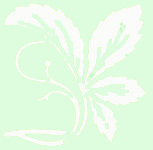 They range from small symbols near the couple's signatures to large decorations filling a whole corner of the document. Please remember, you are not limited by what you see here, use your own imagination and tell us about those special things so meaningful to the two of you. We can create something you will always treasure. 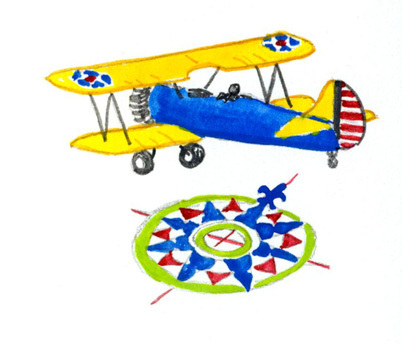 This biplane and compass rose served as decoration between the signature lines for one couple. The Celtic cross and Chinese "double happiness" symbol combine with the Chinese dragon and Phoenix to bring good luck to one of our couples. Sometimes simple is better. 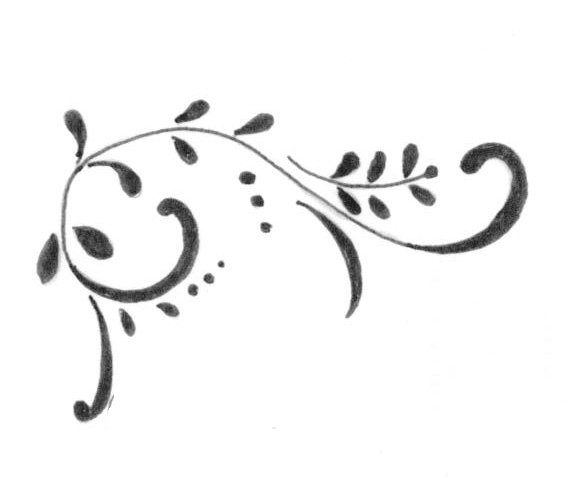 This was a sketch of a simple scroll decoration that appeared in the corners of the certificate. The very old tradition of decorating a barn with good luck symbols was honored by one couple who wanted the Pennsylvania German Hex signs on their certificate. This couple wanted to show the beach where they were married with a famous sign post from that resort. This painting went across the bottom of the certificate under the witness signature area. 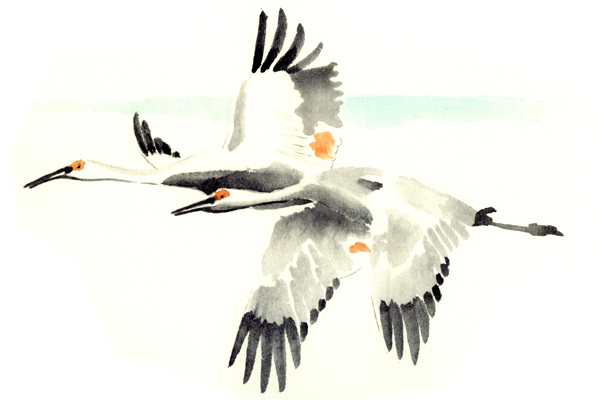 These cranes in flight painted in a Chinese style decorated the upper right corner of one couple's certificate. 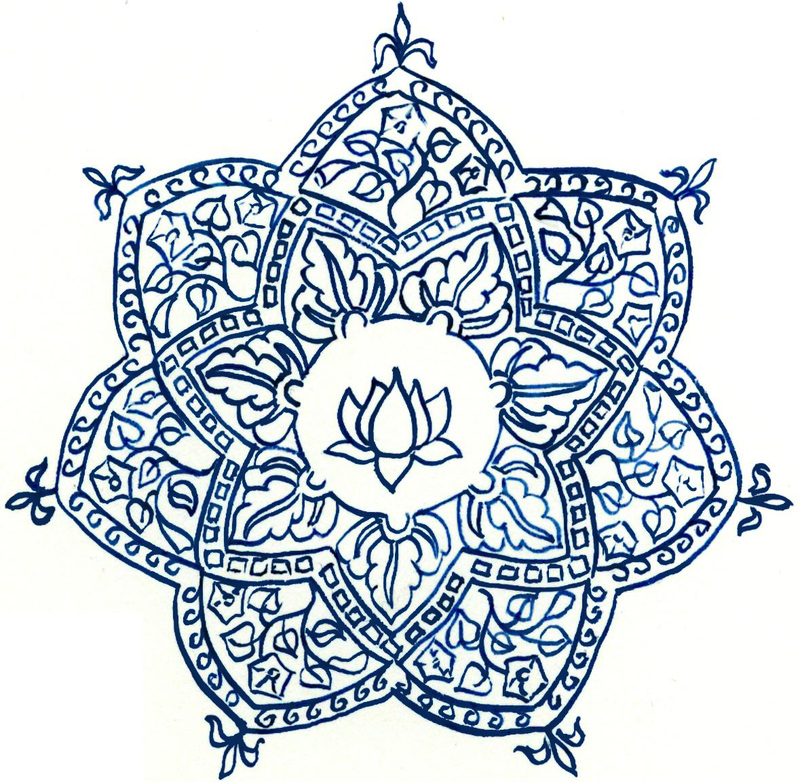 A mandala based on designs from India was the ceterpiece for one couple's certificate. Two vintage airliners were requested by a couple who loved travel and old travel posters. 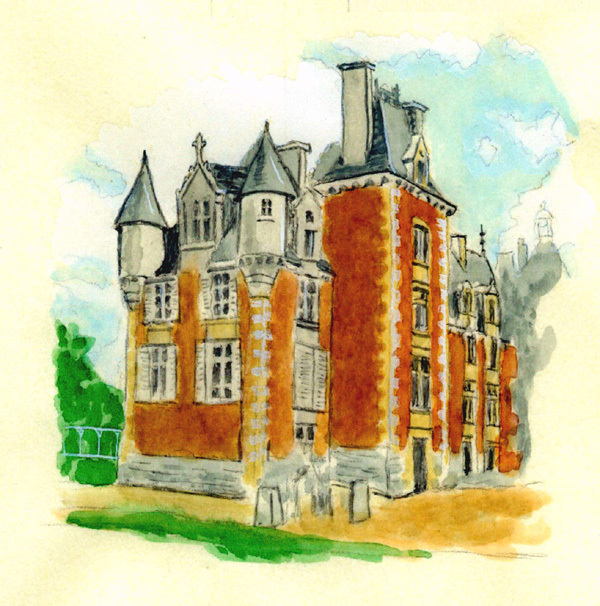 This chateau was painted on the couple's certificate as a reminder of their wedding location.